You probably know that I'm a firm believer in protecting your skin from excess sun exposure. The sun can cause all kinds of damage to your skin, contributing to wrinkles, aging, and even skin cancer. The problem is the sun can also do good things for your skin by providing vitamin D. For centuries, people relied on the sun for their vitamin D, but as we've gotten more vigilant about sunscreen use, and spend many more hours indoors, we're discovering that more and more people are deficient in this vitamin. And that's not just bad news for our overall health, it's bad news for our skin as well. Here's why vitamin D is so important - and how you can get it without risking wrinkles. It's important to understand that vitamin D deficiency is a serious healthissue. Researchers have found that it increases your risk for cancer, autoimmune diseases, infectious diseases, and cardiovascular diseases. So, while avoiding the sun may help reduce your risk of certain cancers, you need to make sure you're taking adequate action so you don't inadvertently increase your risk for others. Clearly, vitamin D plays an important role throughout our bodies, but it's especially significant to the skin, where it makes a critical contribution to skin development and repair and helps clear away damaging free radicals. 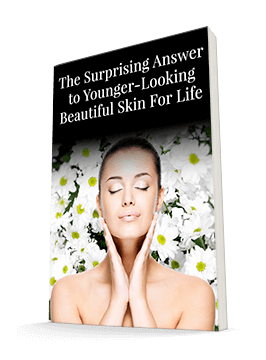 Your skin loses approximately 30,000-40,000 cells every minute, so it needs all the help it can get in creating new ones. Specialized cells called keratinocytes are vital to this process, but these cells depend on vitamin D to do their job properly. Scientists find that this breakthrough helps your skin look "11 years younger in 4 weeks." . Vitamin D helps keratinocytes both divide and differentiate. If they don't differentiate properly, your skin will be thinner and more fragile. You may experience sagging as you lose elasticity and support. And you'll lose moisture as your cells no longer form an adequate barrier to seal and hold hydration in. Your body is able to make vitamin D with sunlight, but this ability decreases significantly as you age. In fact, by age 70, many people have lost 75% of their ability to produce vitamin D. And even if your body is able to synthesize it, depending on the season or your geographic location, you may not be able to get adequate sunshine to make enough vitamin D.
Fortunately, there's a solution — supplements. Most people need to take a daily supplement of vitamin D especially during the winter months. With so many people deficient in this essential vitamin, it's worth investigating whether you're keeping your skin cells from performing at optimal levels. Talk to your doctor about having your Vitamin D3 levels checked.